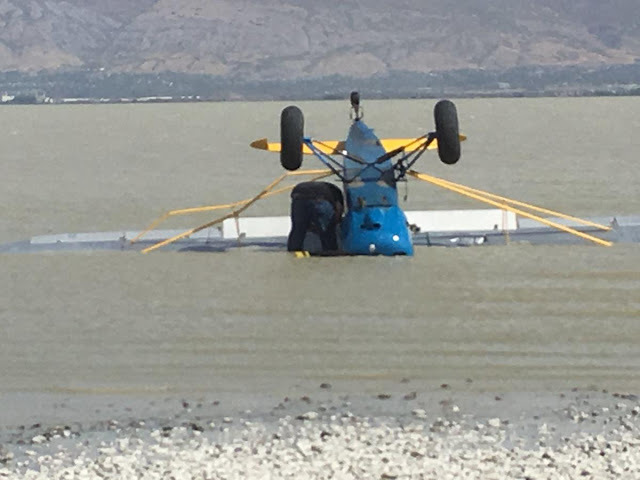 SARATOGA SPRINGS — A pilot walked away from his plane with only minor injuries after landing upside down in shallow Utah Lake waters on Saturday. The situation could have been worse, Utah County Sheriff’s Sgt. Spencer Cannon said. “As crashes go, I think he’s fortunate in regards to what the circumstances are,” Cannon said. The plane went down about 20 feet off shore, at about 12:45 p.m., near the Pelican Point area south of Saratoga Springs, on the west side of Utah Lake, Cannon said. The pilot told authorities he was trying land the plane on the shoreline when a gust of wind came up and pushed the plane. 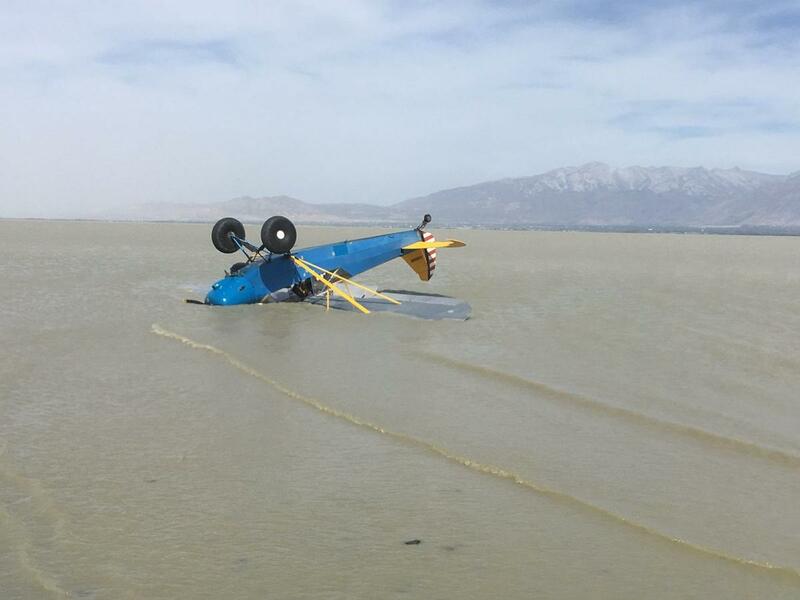 A wheel touched the water, causing the plane to flip and crash, the pilot said. The plane landed upside down in water about a foot deep, Cannon said. The pilot, who was the only person in the plane, walked to shore, he said. Although the pilot called it a “hard landing," Saturday's landing could be reclassified as a crash, because there are no runways in the area and the plane landed upside down, Cannon added. The man was treated for minor injuries at the scene but was not taken to a hospital, according to Cannon. The Federal Aviation Administration and National Transportation Safety Board will be investigating the crash, Cannon said. The name and age of the pilot were not released. 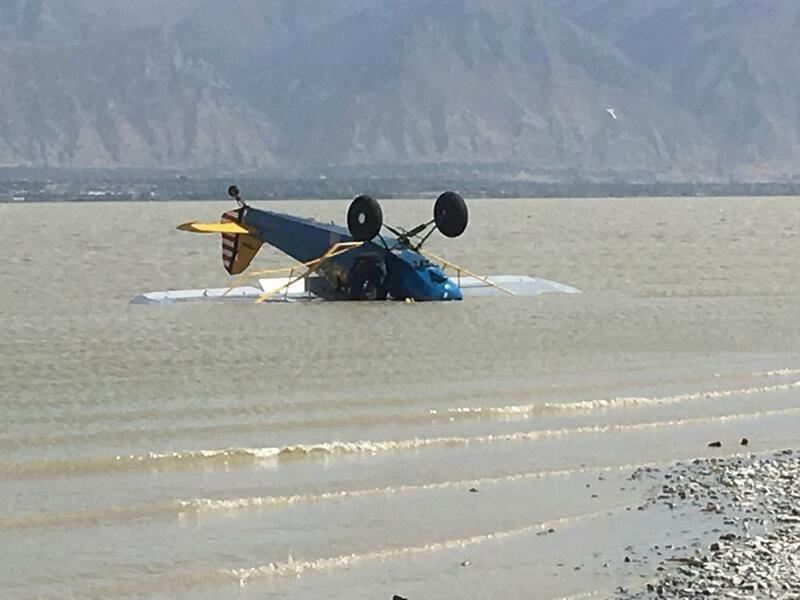 Law enforcement responded to a plane crash on Utah Lake at around midday Saturday near Saratoga Springs. A plane with a single occupant went down in the water by Pelican Point, just south of Saratoga Springs, according to Sgt. Spencer Cannon with the Utah County Sheriff's Office. 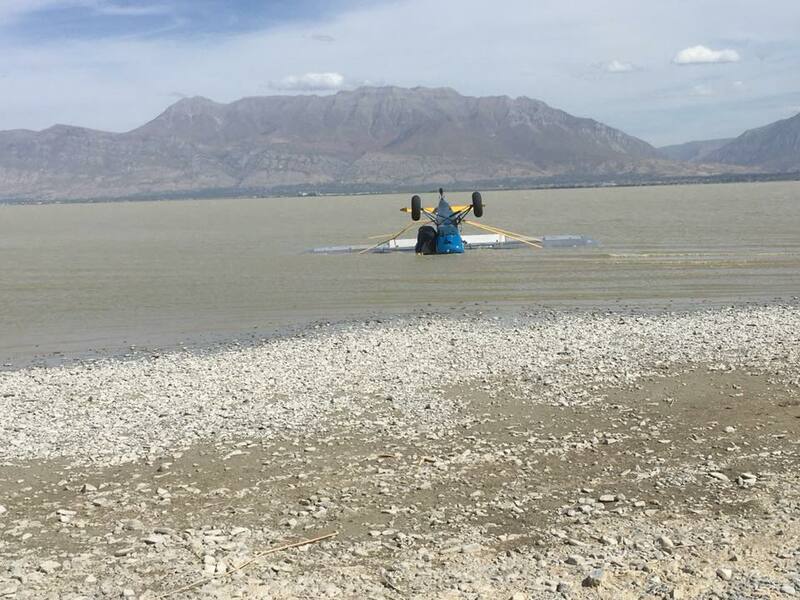 The pilot was attempting to make a landing on an exposed part of the Utah Lake shoreline, when a wind gust pushed the plane, Cannon later Tweeted. The wheel touched the water, and the pilot could not recover and crash landed, flipping the plane upside down. The pilot had minor injuries and walked to shore. Saratoga Springs medical personnel and sheriff's deputies initially responded, Cannon said. The Federal Aviation Administration and the National Transportation Safety Board are involved. Sgt. 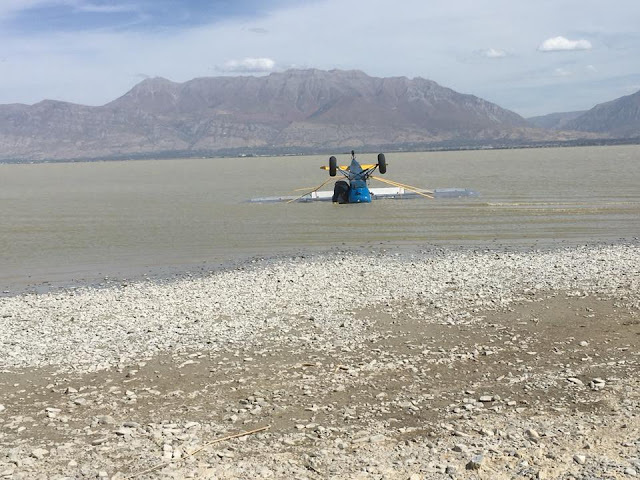 Spencer Cannon with the Utah County Sheriff’s Office said that the pilot, who was the sole occupant of the aircraft, crashed the plane into the west side of Utah Lake, at Pelican Point near Saratoga Springs. The airplane flipped upside down during the crash, Cannon said. Cannon said the pilot, who only suffered minor injuries, was able to walk 20 feet to the lakeshore. The Federal Aviation Administration responded to the crash Saturday to investigate what caused the accident. Doesn't look very windy to me! Looks like nothing more than misadventure.